With immense thrust on research and development to introduce newer products to serve changing consumer demand, solid competition prevails in the global portable gas detection equipment market, states Transparency Market Research (TMR) in a new report. Savvy players are vying for partnerships and mergers and acquisitions to expand their outreach and to augment their technical expertise. 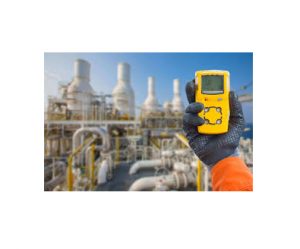 Prominent vendors in the portable gas detection equipment market to name are Thermo Fisher Scientific Inc., RAE Systems Inc., Trolex Ltd., Mine Safety Appliances, Industrial Scientific Corporation, Detcon Inc., Honeywell analytics, Crowcon Detection Instruments Ltd., and Drägerwerk AG & Co. KGaA. As per the TMR report, the global portable gas detection equipment market is predicted to expand at a CAGR of 4.8% between 2017 and 2023. Proliferating at this pace, the market’s valuation of US$1,306.6 mn in 2017 will become worth US$1,737.3 mn. Wearable gas detection equipment based on type is predicted to display swift uptake in the upcoming years. This is mainly because they can be worn by humans while at work. Region-wise, North America, Europe, and Japan hold prominence in the portable gas detection equipment market due to an established industrial sector. One of the key driving factors of the portable gas detection equipment market is rising preference for wireless detectors. Wireless gas detectors are useful to detect gas breaks and explosives from a safe distance. Wireless gas detectors are useful to measure gas concentrations in hard to reach environment, capable of detecting poisonous gases and most importantly can be easy installed at relatively low prices. They can detect a host of gases such as oxygen, carbon dioxide, and sulphur dioxide. These factors make wireless gas detectors suitable for remote sensing of flammable and toxic gases in hazardous environments. Furthermore, rising popularity of natural gas detectors in commercial and residential settings is stoking demand for portable gas detection equipment. With rising prices of petroleum natural gas is increasingly being used as an automobile fuel. The rising number of natural gas filling stations is stoking demand for gas detectors to prevent gas leakage that can lead to serious accidents. This is because natural gas is non-toxic but highly combustible. In particular, emerging economies in Asia Pacific are displaying significant demand for gas detectors due to the increasing popularity of natural gas to curb environmental pollution. In Middle East and Africa, a flourishing mining and oil exploration industry is stoking demand for wireless gas detectors for workforce safety.